The American Sign Language (ASL) instructor, Cory Park, hopes his class will help more students learn about deaf culture. 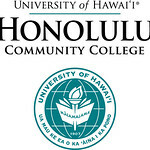 This is Park’s second semester at Honolulu Community College (HonCC). ALS instructor, Cory Park, uses his personal experiences to help his students learn American Sign Language. Before coming to HonCC, Park had a lot of experience signing, but little experience in front of a classroom. Park is a CODA, or Child of a Deaf Adult, and worked as an ASL tutor and teacher assistant. Park also took sign language classes at BYU Hawaii, which he said gave him a better understanding in how the language works and provided a foundation for his own teaching. Park’s father is deaf and his mother is a nationally certified ASL interpreter, so ASL is one of his primary languages. Growing up as the child of a deaf man, Park says, “life was normal” and does not recall many moments when people were rude to his father. Park says that everyone thought his ability to sign and his father being deaf was unique. In high school he started an ASL club and he began informally teach his peers ASL. Park believes hearing people should learn ASL in order to understand the culture and communicate with people. “You never know when it could come in handy, whether you’re at school or work or wherever you might be,” he said. “They’re everywhere, we just don’t see them.” Although ASL is a language, it is also a culture for many hearing impaired, CODAs, ASL interpreters, and sign language enthusiasts everywhere.